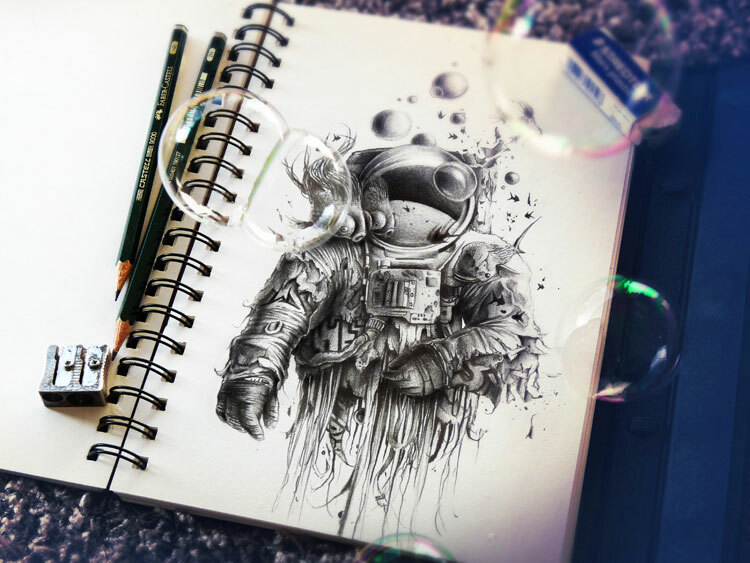 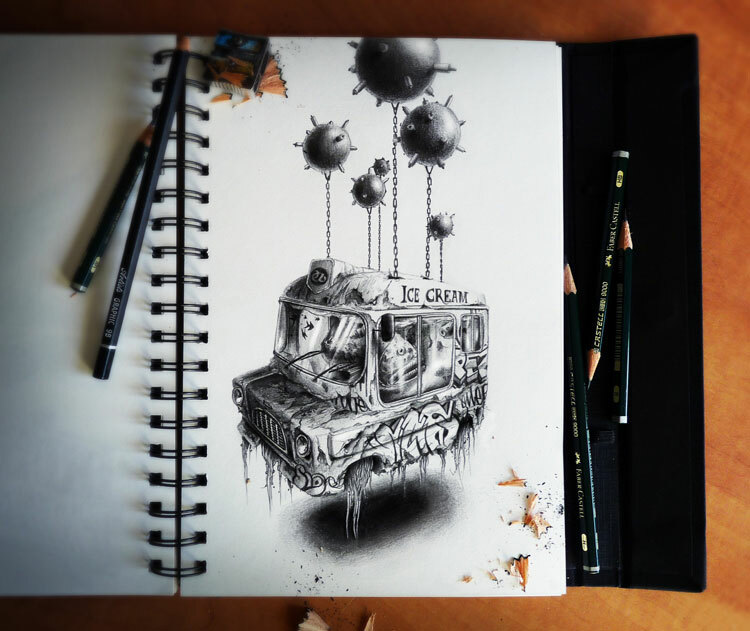 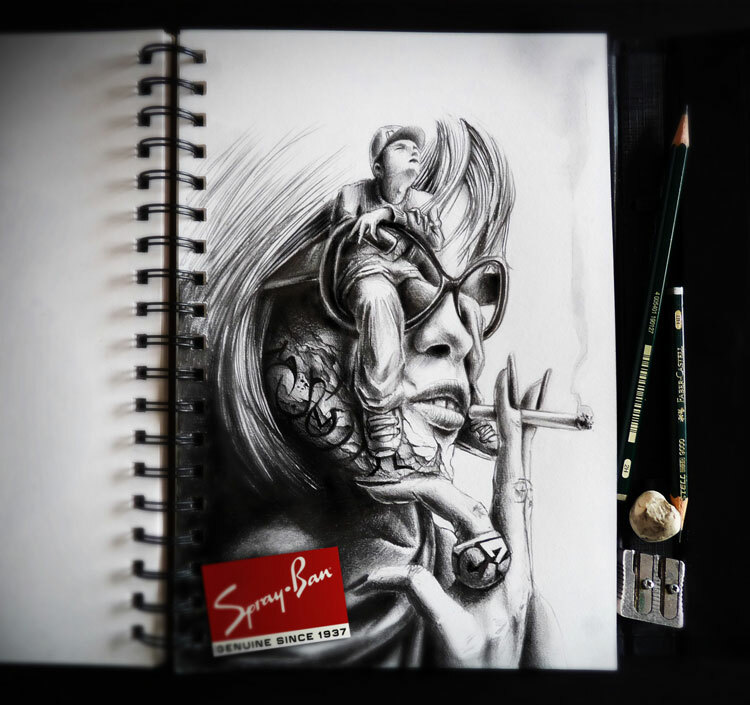 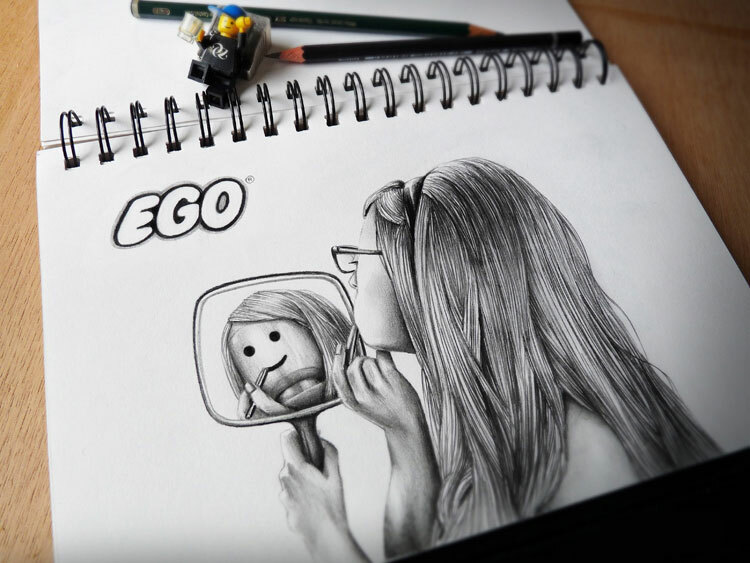 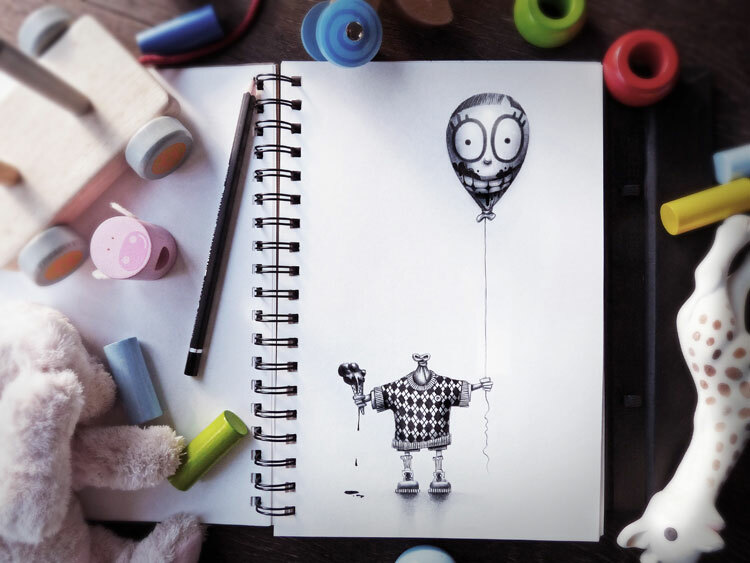 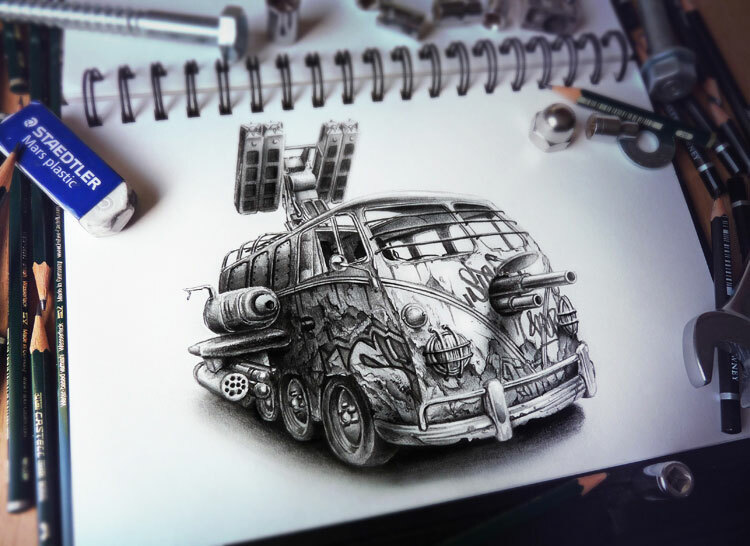 French illustrator Pez has a passion for pencil drawing, and it shows. 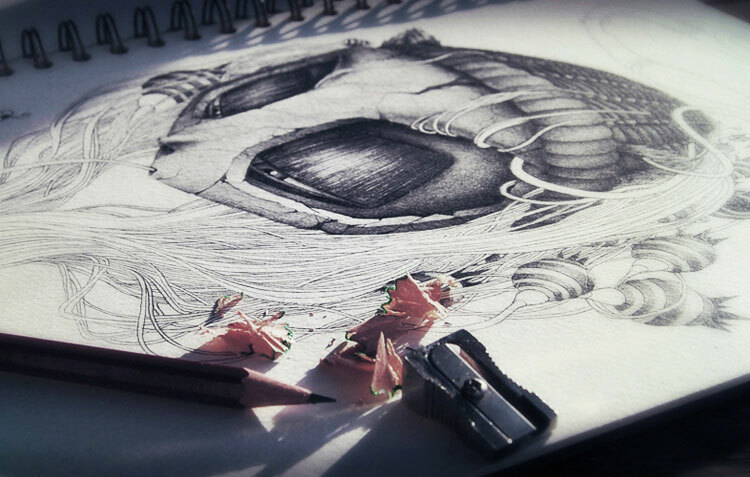 Using different grades of pencils, Pez achieves stunning three-dimensionality. 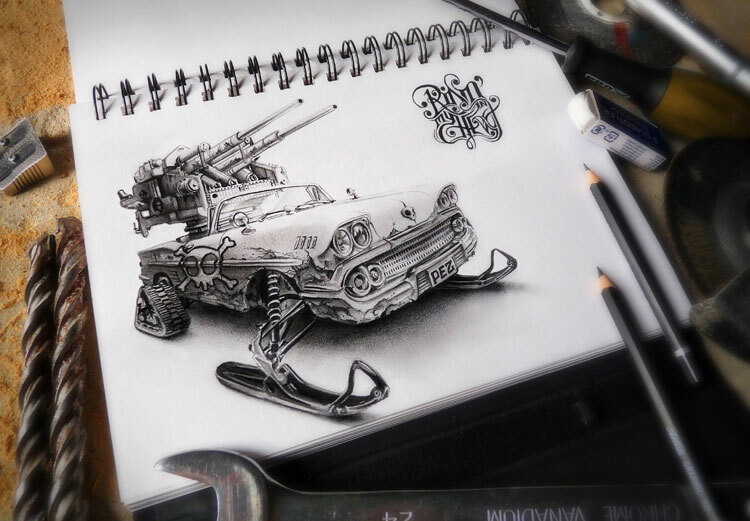 His attention to detail is truly awe-inspiring. 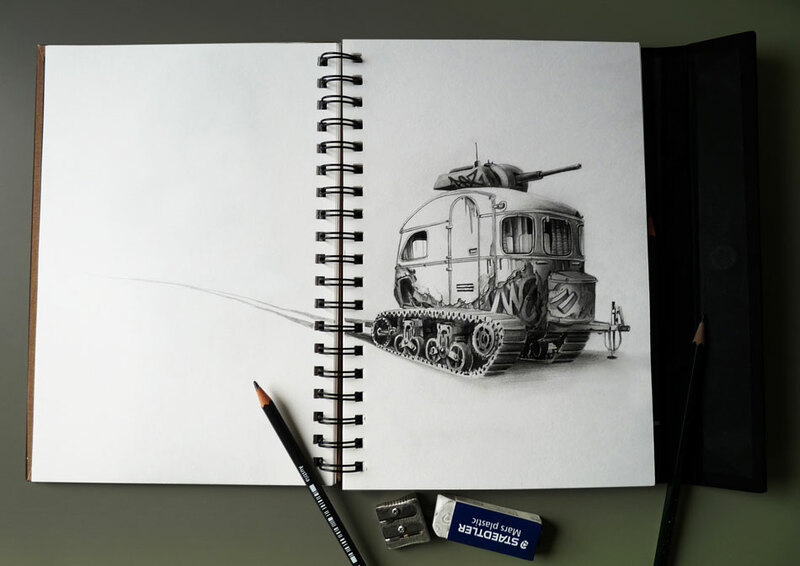 And the composition of these sketchbook shots is impressive too.